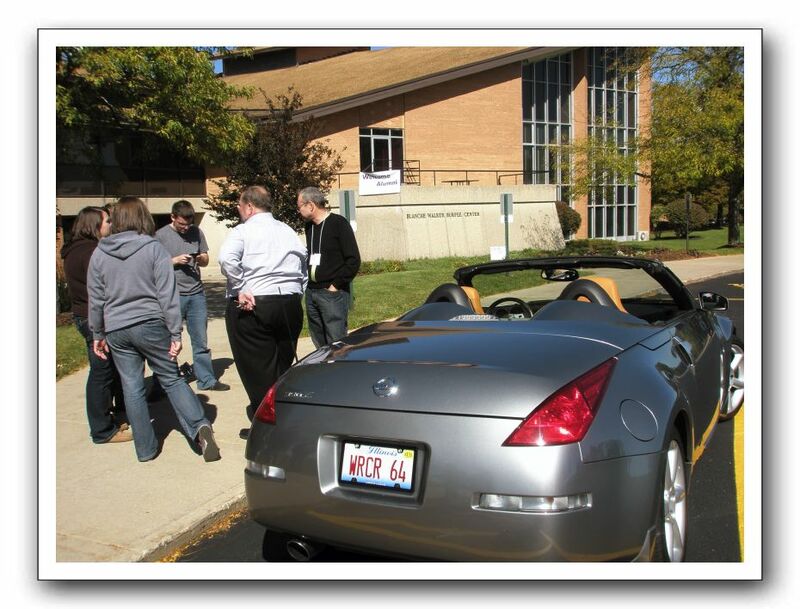 WRCR alums John Bace (back to camera) and Brian Dubin (far right), visit with Rockford College Radio students outside Burpee Center. Rockford College Radio staffers (l-r) Tracey Redeker, Allyson Utech and Vince Chiarelli are getting ready to take a group picture. That's John's car with the WRCR license plate.